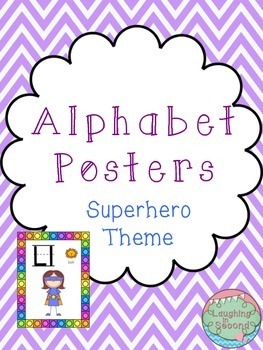 Alphabet Posters with a multi-colored border. 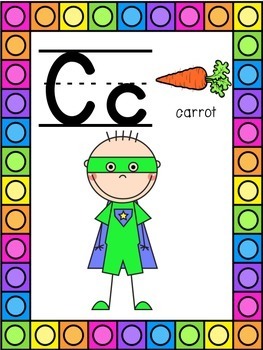 This product contains 26 alphabet posters. 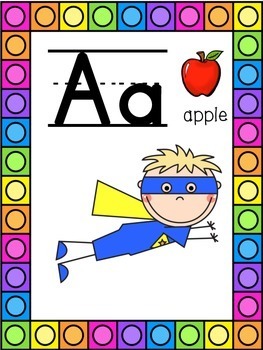 Each poster has a cute superhero graphic, colorful border, primary lined letters and initial sound clipart to match the letter. 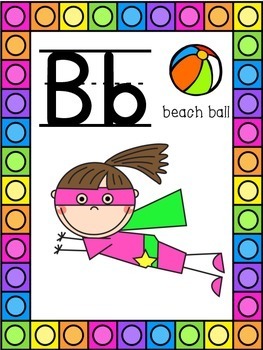 ***************************************************************************** Check out the other superhero themed items in my store!